Looking for something different? These are some of the more unusual cookbooks I came across this year. 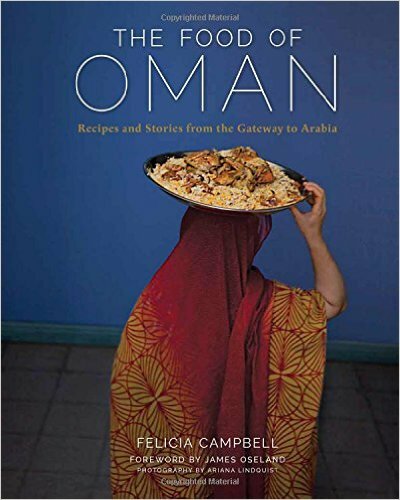 The Food of Oman is one of the most exciting cookbooks I saw this year, because I am so unfamiliar with the cuisine and the influences are so varied. 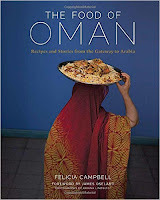 The book includes Bedouin meat and rice dishes, South Asian curries, East African vegetable dishes and Indian style tandoori seafood as well. There are recipes for quickly made flatbreads, Sweet Vermicelli with Salty Egg, Yemeni Style Roasted Chicken and Saffron Rice, Swahili Coconut Shrimp Curry, some hot tea-like beverages, and plenty of snack foods like Chile-Lime Chickpeas and Chili Spiced Potato Chips. For the cook who seems jaded and world weary this is the perfect book to inspire. Who’s it for? Anyone looking to cook something different, but expecially fans for Southeast Asian and African food. Do you need a book about what to serve on toast? No. 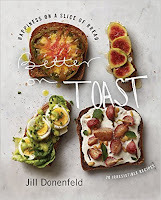 But Better on Toast is a really fun book loaded with cool ideas for snacks, appetizers and impromptu meals. It’s perfect for someone with a small kitchen or nothing more than a toaster and a hot plate. Many of the recipes are just about “assembling” with minimal prep or no cooking such as Chile-Orange-Cured Salmon with Cilantro Creme Fraiche. It sounds much more complicated than it is, there are only 7 ingredients, plus some some spices. The toppings are very inventive like parsnips and marcona almonds, Carrot Butter and Halloumi or Spice Roasted Radishes and Mint Feta Yogurt. Who’s it for? Anyone who is looking for some easy yet creative ideas for snacks or entertaining. Mission Chinese is a completely polarizing restaurant and so apparently is the cookbook, The Mission Chinese Food Cookbook, if you believe the reviewers on Amazon.com. People either love it or hate it because or in spite of the fact that it does not serve “authentic Chinese food.” Whether or not that matters to you, Danny Bowein is a very talented chef and his food is delicious. His food is also sometimes surprisingly complicated. There are just 49 recipes in the book and there are plenty that are too involved for me, but also some recipes that are surprisingly simple. I really love all the thinking that went into each dish and how it’s explained in the book. There are great bits to read here including an interview with Rene Redzepi. The pantry section includes lots of Chinese and as well as non-Chinese ingredients and how to use them that adventurous home cooks will find helpful (like how to buy and use koji). I’ve bookmarked recipes for Hong Kong Style Pork Belly, Pickled Mustard Greens and Crunchy Tea Smoked Eel Rolls. Who’s it for? 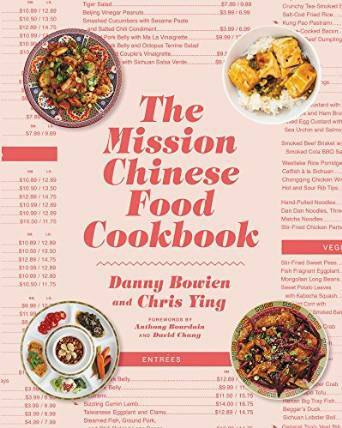 Fans of Mission Chinese Food who want to try recreating the food at home and want to learn more about the chef and his journey. There is a whole world of Japanese preserved food and Preserving the Japanese Way tackles it like no other. The way the book is organized is designed to bring you up to speed using ingredients like shoyu, Japanese fish sauce, koji, sake lees and more. A major effort of the book is to get readers to not think of pickles as just a side dish. There are recipes for salads, soup, tofu and fish dishes. A great resource for those wanting to take their home pickling or Japanese home recipes to the next level. There is lots of helpful information about ingredients that alone makes the book well worth owning. Who’s it for? 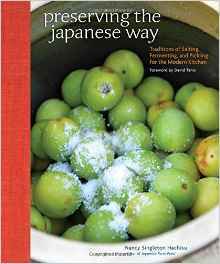 Preserving and Japanese food enthusiasts. There are many things I cook at home that I do not post to my blog, because they simply can’t be made without a high speed blender, in particular a Vitamix. Rich, thick, velvet textured smoothies, soups and sauces are the main thing I achieve when I use it. 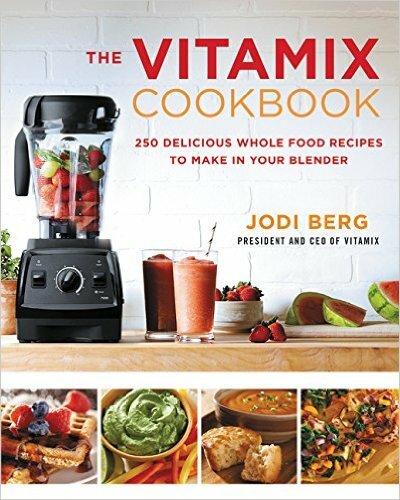 I was curious what recipes would be included in The Vitamix Cookbook since the author is VItamix president, CEO and great granddaughter of the Vitamix company founder. Sure enough there are smoothies, soups and sauces, but also lots of baked goods with grains ground in the blender. I didn't personally find this book very useful for a few reasons. I don’t grind grain in my blender although it can be done with the right canister. In terms of mixing batter, I don’t think a blender is really necessary. 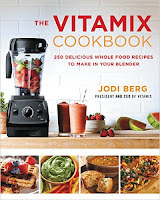 I have a juicer but the author shows how you can make vegetable and fruit drinks using the Vitamix as well. There are also frozen desserts, but I have made those more easily in a food processor. Who’s it for? Someone new to the Vitamix or struggling to find ways to use it. Disclaimer: I received these books as review copies and this post includes affiliate links.